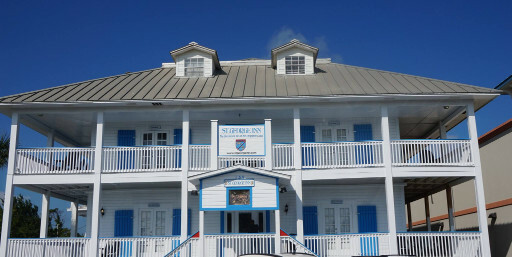 Stay at the St. George Inn on St. George Island, Florida while looking at properties for sale on the Forgotten Coast with an Anchor Realtor and save 10% on your stay! The Forgotten Coast is a rather recent name given in the 1990s to the coastal area located east of Panama City. It begins east of Tyndall Air Force Base in Mexico Beach and spans eastward all the way to the remote southern suburbs of Tallahassee, south of Crawfordville. Deserted white sand beaches, large forests reaching to the coastline and historic port villages make the backbone of this unusual Florida coastline. Forgotten Coast aficionados have become addicted to endless sugar white beaches, clean waters, fabulous fishing, and diverse seafood.